A native of Brownsville, TX, Capt. 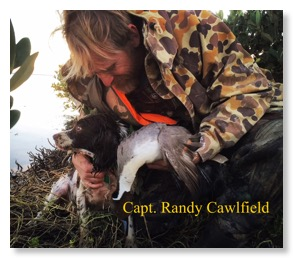 Randy Cawlfield grew up fishing and duck hunting the Lower Laguna Madre. At the age of 18 he left South Texas to pursue college and seminary degrees from Southwestern Baptist Theological Seminary and served as a pastor in several churches in Texas and New Mexico all the while chasing trout with a fly rod all over the west. After years of feeling the urge to move home to the Valley, Randy and Lydia, his high school sweetheart and wife of 26 years, finally returned home with their five children. In 2007 Capt. Randy took over ownership of Kingfisher Inn and Guide Services in Arroyo City, TX and has greatly benefited from the mentorship of his friend and colleague, Capt. Scott Sparrow (founder of Kingfisher Inn). One of Capt. 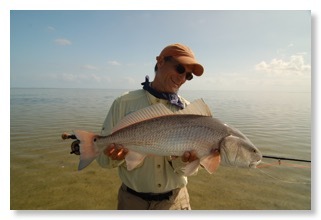 Randy’s greatest pleasures is seeing new clients and novice fly fishers catch their first redfish on a fly rod. In addition to guiding fly fishers Capt. Randy loves serving his community as the lead pastor of River Church Brownsville. Randy and Scott and their sons are now working together as Kingfisher Fly Fishing Company. Capt. 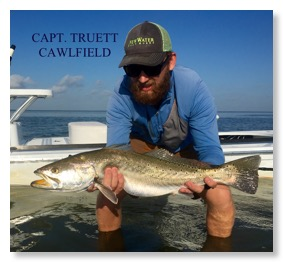 Truett Cawlfield began seriously fly fishing at the age of 10. He was raised in the outdoors hunting and fishing in Texas and New Mexico from the time he could walk. Catching trout in high mountain streams and shooting ducks on the Lower Laguna Madre were all part of growing up. These experiences inspired Truett to study Natural Resources and wildlife biology at Texas Tech University where he also worked as a technician studying bobwhite quail across West Texas. This gave him an intimate knowledge of the ecological relationships between organisms he had grown up observing in the outdoors. Educational and scientific experience compounded on his practical knowledge of both the aquatic and terrestrial ecosystems of South Texas. Today he guides anglers armed with more than a decade of year round fly fishing experience on the Lower Laguna as well as a formal education in environmental sciences. Capt. 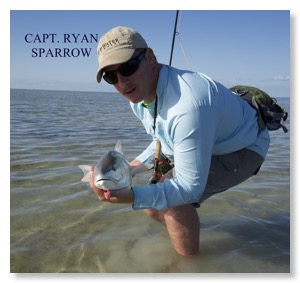 Ryan Sparrow hails from the Tidewater region of Virginia where he grew up fishing and kayaking. After being exposed to traditional spin tackle since he was able to walk, he decided at the age of 12 to delve into the art of flyfishing. Fishing the streams and rivers of the Blue Ridge Mountains and the inlets of the Chesapeake Bay during the Fall, Winter, and Spring and traveling to South Texas in the Summer to visit his father and explore the flats of the Lower Laguna Madre, Ryan has had the opportunity to fish a variety of environments and firmly believes that nothing compares to the treasure that is the LLM. After beginning college in Virginia, Ryan relocated to McAllen, Texas to be closer with his father and graduated from University of Texas Pan-American with a degree in History. Ryan currently works for IDEA Public Schools at an outdoor-education campus, CAMP RIO, where he guides students ranging from 1st to 12th grades on Interpretive hikes, Archery, Marksmanship, Canoeing, and interactions with native wildlife. Education and nature have always played a crucial role in Ryan’s life and he derives a great satisfaction in sharing them with others. Ryan now lives in Harlingen, Texas with his girlfriend and their two cats. Capt. Dr. Scott Sparrow is a native of south Texas, and fished with his father and brother on the Lower Laguna as far back as he can remember. When he was 12, he taught himself to flyfish on the ponds of south Texas, and then in the mid-70s he took his fly rod to the bay one morning and caught his first redfish on topwater flies. After returning to Texas in 1999, he cofounded Kingfisher Inn and Guide Service. Since meeting Randy in 2005, Scott and Randy have worked closely as guides and friends. Scott has written numerous articles on flyfishing and fly tying in national angling magazines, and has authored a memoir, Healing the Fisher King: A Flyfisher’s Grail Quest (BlueMantle, 2009). His signature flies — the VIP, Mother’s Day, and Kingfisher Spoon — have become popular flies on the Texas coast and beyond. 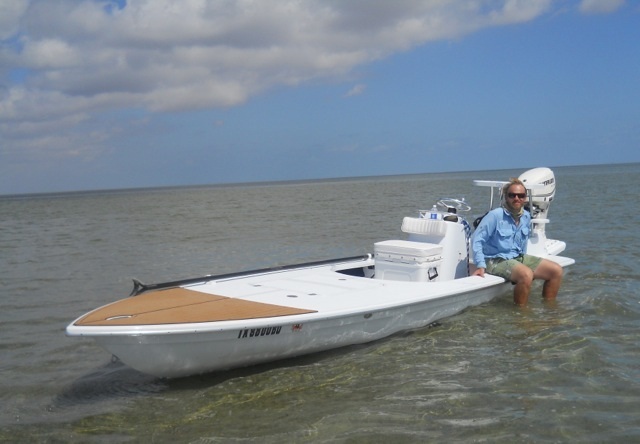 He has flyfished extensively in the Blue Ridge and the Catskills, and in various saltwater venues. Scott's son Ryan has flyfished with him since the age of 12, and has recently joined Scott, Randy, and Truett in Kingfisher Flyfishing Company.